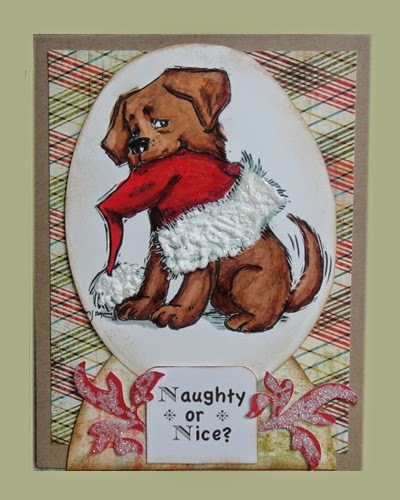 I mad this card for the Craft Your Passion challenge. It is a card for all occasions. 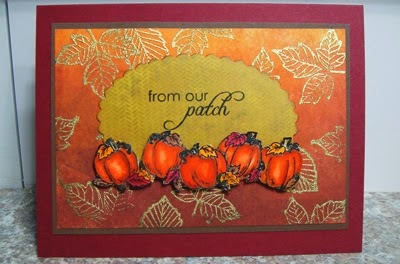 I made this card today for a Stamp TV Fall Foliage challenge. I used Gina K card stock for the card. 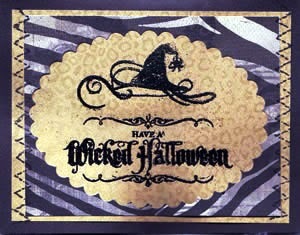 I used Pure luxury white 120# card stock for the inked layer and the paper I stamped the pumpkns on. Pure luxury paper is great for use with Copic markers. I embossed the leaves with Ranger gold. The stamp set is "Falling For You" from stamp tv. This card is entered into the http://www.craftyourpassionchallenges.blogspot.com/Craft Your Passion Challenge Ribbon needs to be used. 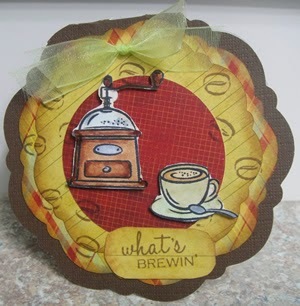 I entered this card at sweetstampinchallengeblog. The card needed to have stitching on it. Card of the day at 365 card challenge, The zebra paper is the scrap from the scallop shape. Finally got around to adding a gallery on the right. 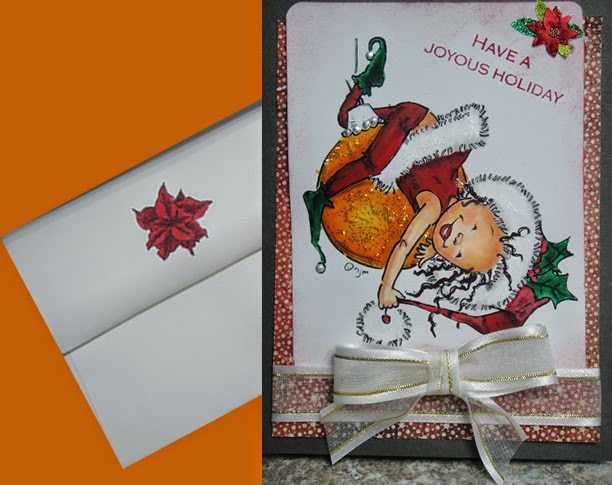 I just finished a card today for a challenge at Stamp TV. I colored the puppy with Copic markers. I added liquid applique to the fur, added Sagura glitter pen on the hat. I tested white glitter on the do dads before adding to the hat. Sure glad I did because I didn't like it:-). I used Kraft cardstock, DP is Echo Park Jovial. The image is a digital stamp from Mo's Digital Pencil. The sentiment is digital and I made it.